A big thanks to Francis McConnell, a Jameson Brand Ambassador, who came to Eighty81 to teach us all about Jameson whiskey. 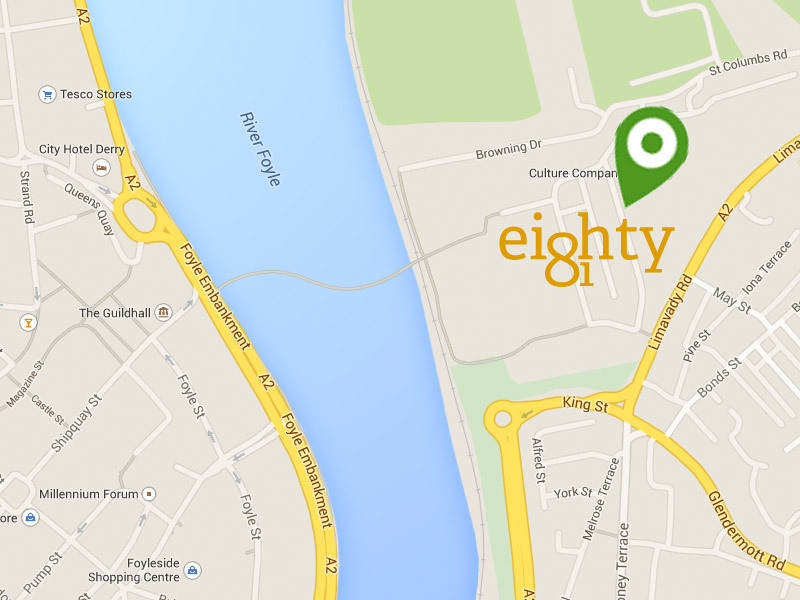 Ebrington’s Eighty81 Creative Workspace is marking its third anniversary as the city’s premier co-working space for startup companies and small businesses in the creative industries. The anniversary also sees Blick Shared Studios successful completion of its management contract. We are so delighted to welcome Mark Hamill to our creative hub and to find out more about him and his photography business we sat down over a coffee and had a good chat. Collaboration and creativity are key components to the success of our creative hub here in Eighty81 Creative Workspace so when we see our members working together we love to shout about it. Once a member of Eighty81 Creative Workspace, always a member, so when Madlen Tittmann founder of VenicePeach contacted us about being involved in her latest photography campaign called 'People Of Your City' we didn't hesitate to be involved. Are you in Northern Ireland and need a coworking space? Sorry To See Them Go! Our lovely residents, MakeMatic, a video production company that makes bitesize professional learning videos, are expanding and so are leaving Eighty81 to move into bigger premises.